Click HERE to view the latest image. This is a digital art gallery that contains several distinct sections. First is the digital art section, containing images and scenes created with the freeware raytracer POV-Ray and DAZ Bryce. The main subjects cover Sci-Fi images that are based around the 'Terran Trade Authority Handbooks' background created by Stewart Cowley in the late seventies. In addition, there are a growing number of pieces that have been published in a number of Traveller RPG compatible products. There are also some surreal/fractal images, content downloads, wallpapers and book source information. Each of the gallery areas are accessable by subject at the top of the page. The books, 'Terran Trade Authority Handbooks' depict a fictional future based around images and paintings created by a number of artists, written by Stewart Cowley more than twenty years ago. The style and background of these series of books has forever inspired me and also provides a convenient background 'universe' for me to add and develop science-fiction scenes. If you are looking for more information on the TTA, Galactic Encounters, or other related books by artists who contributed artwork to the series, why not take a look in the Terran Trade Authority Handbooks section here on Digital Waterfalls? I've followed the Traveller RPG in its various forms since the early eighties and though I never play any more, I occasionally review products or produce artwork for the active publishing community. I'm using the TTA works to inspire me to design new scenes for Traveller. There are a number of other surrealist and fractal images which I've created over the years - hopefully you will find something here that will suit your tastes! Please help to keep the site running by purchasing a book direct through one of the links on this site - thanks! Inspiration used for the creation of the new look website: Music from Dead Can Dance, the Traveller RPG and Peter F. Hamilton. Special thanks to Cheryl for all your help and support in realising the new website and Dave for your advice and tips. Currently reading:- 'Peter F. Hamilton - The Nano Flower'. I have added a new image to my Traveller RPG gallery - 'Horizon Survey Craft' based around one of the ships featured in the Zozer Games 'Orbital 2100' universe. Best experienced with good Karma, caffine-loaded drink, top-quality trance by Above and Beyond and 1366x768 in glorious 32bit colour. Last image update October 2017. 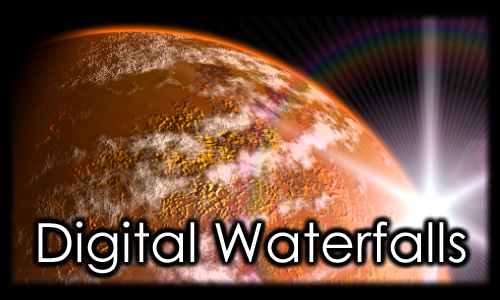 When you've finished browsing here, why not take a look at our affilliate site toosurreal - Dave Bennett's digital art gallery / web / tech blog?